Originated from the Andes Mountains of South America. 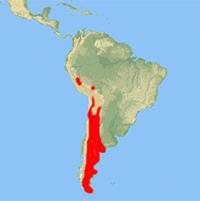 Alpacas are currently located throughout many countries including the United States and Australia. There are 2 types of Alpacas, Huacaya and the Suri. 95% are Huacaya with a full crimp or crinkle fleece. The Suri has a straight fibre which hangs down in ‘dreadlocks’. Alpacas can come in 20 different colours from all shades of brown, grey, creams, blacks and of course white. They have pads instead of hooves. 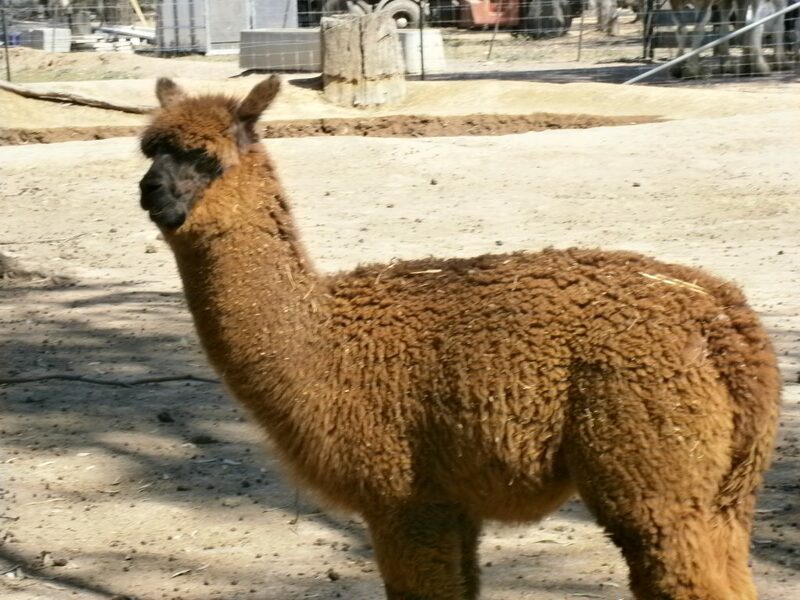 An adult Alpaca can stand about 1m at the shoulders and 1.5m at the head. They can weigh up to 85kgs. Although Alpaca’s have pads instead of hooves they are still classified as hoof stock. Group structure: Usually in small family groups with a dominant male. Sexual Maturity: Females at 14 – 16 months. Males at 2 – 3 years. Gestation: 11 months giving birth usually to a single baby called a cria. Alpacas are handsome, gentle, intelligent, earth friendly creatures responding well to human interaction. They have excellent eyesight and hearing. They communicate with a series of ear and tail positions and body postures. They rarely spit at people unless frightened, threatened or abused.